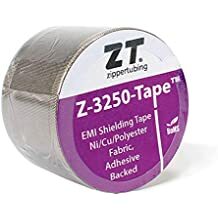 Zip On Vnh - Zip On - Trade Names - ZT | Zippertubing Co. This product is ideal for harsh environments that need custom cable management! The Zip-On® family of cable management products are as easy to install as they are to re-open. Whether you are in the field or the office, the convenience and functionality of Zippertubing’s Zip-On® solutions will more than satisfy your cable bundling and protection needs. These products are available in variety of materials, colors, shapes and sizes. The VNH material is waterproof and provides hydrocarbon fluid resistance, all while providing the best in abrasion protection for practically any environment. 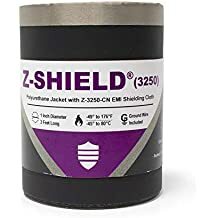 Z-Track: This closure material utilizes Zippertubing’s patented low-profile arrow head and channel interlock design, offering the best in closure strength with a 15lb tensile strength. The track material is also flame-retardant, making it perfect for low or high temperatures, with better flexibility than many other tracks in its class. VNH: This material is a polyvinylchloride-coated nylon fabric that is waterproof and flame-retardant. The material meets MIL-SPEC MIL-C-20696, Type II, Class 2 and can be used with many types of closure methods, including RF sealing. This material is available in other colors, such as white, orange, red, yellow, green and the standard black. * NSN applies to Zippertubing’s Zip-On® (VNH) product, which includes Z-Track (PVC) and VNH-23. Both materials are available in black. Currently, 7” iterations at any length are available for the NSN only.